Boeing and British Airways have announced today a commitment for three 777-300ER (Extended Range) aeroplanes. British Airways will take the 777s on an operating lease via a leasing company. 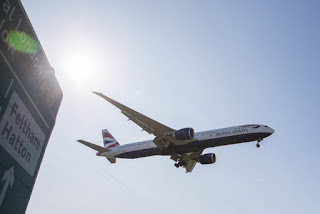 "We are delighted that British Airways, one of the world's leading airlines, has again chosen the Boeing 777 for its long-haul fleet," said Ihssane Mounir, senior vice president of Commercial Sales & Marketing for The Boeing Company. "This agreement is a testament to the enduring value of the 777, its superior range, outstanding efficiency and popularity among passengers." These three aircraft will increase capacity and flexibility across the British Airways network which includes more than 200 destinations in 75 countries across the globe.